Are you interested in installing a VPN on your OpenELEC system? 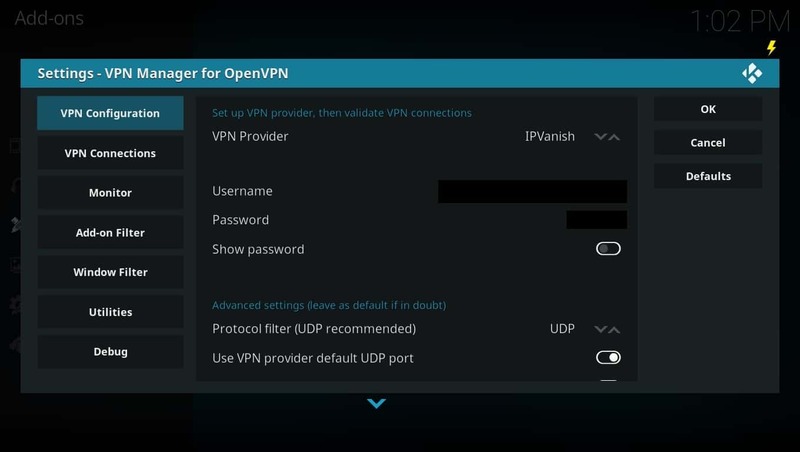 This guide will show you how to install and configure a VPN on any OpenELEC device. This will allow you to stay protected whether you’re using a Raspberry Pi, HTPC, Fiveninja’s Slice, Odroid, Cubox, or WeTek box. Kodi is media center software that allows you to easily stream content on numerous different devices including the Apple TV, NVIDIA Shield, and Amazon Fire TV. This portability is one of Kodi’s biggest benefits. Because it requires very little in the way of system resources, it can be installed on some of the most popular platforms. 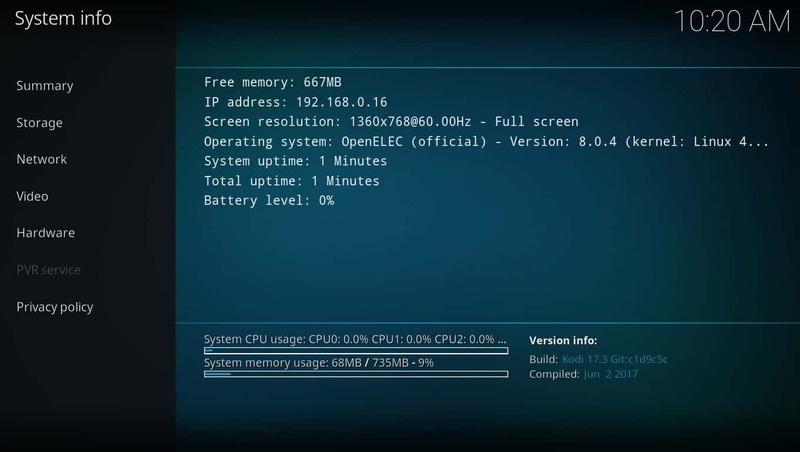 Some operating systems like OpenELEC and LibreELEC aim to reduce Kodi’s footprint even further. However, in doing this they remove many of the customization options that makes Kodi so easy to use. 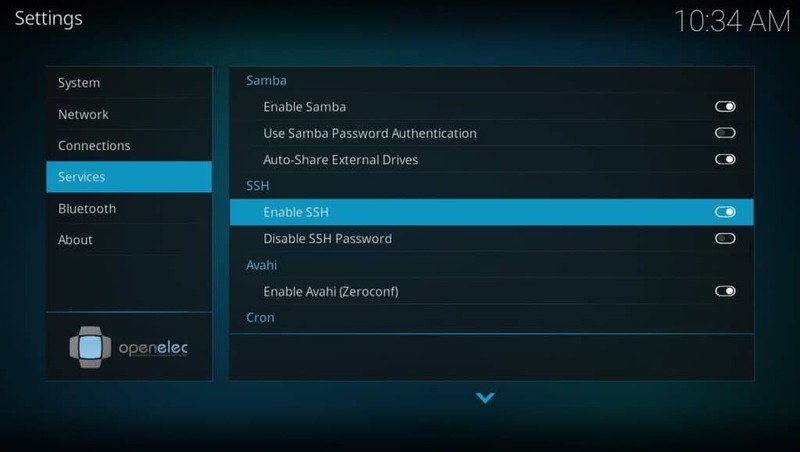 For example, it takes a few extra steps to install a VPN on a Kodi operating system. There’s no need to worry, though. This guide will walk you through the process step-by-step and you’ll be browsing media safely before you know it. It should be noted that while Kodi is completely legal to use, there are third-party addons that provide access to unlicensed content. The Kodi team have publicly denounced such addons and we encourage our readers to use only official sources and addons. OpenELEC is an operating system that provides just enough structure and compatibility to run Kodi. This means that it can be installed on devices with very low system resources like the Raspberry Pi, creating a truly portable Kodi machine. Some people get confused due to OpenELEC and LibreELEC’s similar names. LibreELEC is simply a fork, or modified version of OpenELEC. This means that LibreELEC uses OpenELEC as a base to build upon. 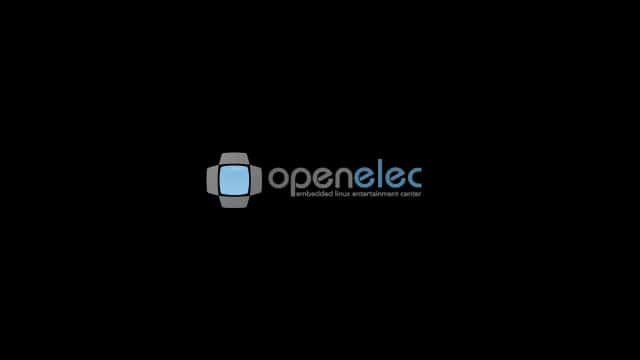 Although LibeELEC is newer, OpenELEC has been around since 2009 and maintains a much longer update and usage history. Simple tasks like transferring files become slightly more complex due to the fact that OpenELEC doesn’t have a non-Kodi file explorer. That said, installing new repositories or addons becomes very simple once you’re comfortable with a small selection of basic Linux commands. This guide will show you exactly what to type when setting up and operating OpenELEC to help make usage easier for complete beginners. Some people use a virtual private network (VPN) to hide unlicensed streaming from their internet service provider (ISP). However, there are many completely legitimate ways that a VPN can benefit a Kodi user. Because VPNs encrypt your network traffic, it can’t be viewed by anyone attempting to use a Man-in-the-Middle attack. This also prevents your ISP from selling your browsing history or using your activities as justification for throttling your connection. Every VPN slows down your internet speeds to some degree, but some have more impact than others. Also, because some VPN providers keep detailed logs of your browsing habits, there’s a chance you’ll be less anonymous online than you realize. For these reasons it’s important to choose a VPN provider that can be trusted to keep you and your personal information safe. We recommend using IPVanish. It has minimal impact on your browsing speeds and because IPVanish maintains its own service infrastructure, it can resolve problems far more quickly than most other VPN providers. IPVanish is one of the easiest VPNs to install on mobile devices like the iPhone and Amazon Fire Stick. OpenELEC is a Linux-based operating system and as a result, setting up a VPN is a bit more complicated than simply installing a program. Instead, we have to set up an addon called VPN Manager for OpenVPN that will allow us to enter VPN account information directly. To get this addon, we have to install the Zomboided repository, so we’ll walk you through that first. Unfortunately, installing the Zomboided repository isn’t as simple as just entering its web address. Instead, we’ll be connecting to the OpenELEC device remotely from another computer using the Secure Shell (SSH) protocol. Begin by downloading PuTTY here. This is the program we’ll be using to communicate with the OpenELEC system. It’s also worth noting that the OpenELEC system will have to be connected to the same network as the machine running PuTTY. Once PuTTY is installed, open it and set the Connection Type to SSH. Next we have to change some settings in OpenELEC to allow this kind of connection to happen. From Kodi’s main page, click the gear icon and then click the OpenELEC option on the far right. Select the Services tab from the list on the left, then find SSH in the list and click the Enable SSH option. The slider should now be white, so if it’s grey, click it again. Next, go back to the settings page. This time, we’re going to click the System Settings option. Select the Add-ons tab, then Unknown sources. You’ll see a popup warning you about the risks of installing addons from unknown sources, but the VPN Manager is trustworthy, so click Yes. Finally, return to the settings page and click the System information button. You’ll see various pieces of information, but the one we need is the IP address of your OpenELEC device. Enter this IP address in the Host Name field in PuTTY, then click the Open button at the bottom of the program. Now you’ll be asked for login information. By default, the username is “root” and the password is “openelec” — make sure not to type the quotation marks. Also, while Linux systems don’t show asterisks as you type, rest assured that you are entering the details. When you’re done, hit Enter, and you’ll be greeted with a prompt you can use to control the OpenELEC system. Once this file has been downloaded, go back to your OpenELEC device and return to Kodi’s home screen. Click the Add-ons tab, followed by the box icon in the top-left of the next screen that appears. Next, select Install from zip file and in the list that appears, choose Home folder, then master.zip. This should install the VPN Manager for OpenVPN addon and if all goes well, you’ll see a notification in the top-right. There is a little bit left to do before you can browse and stream in privacy. 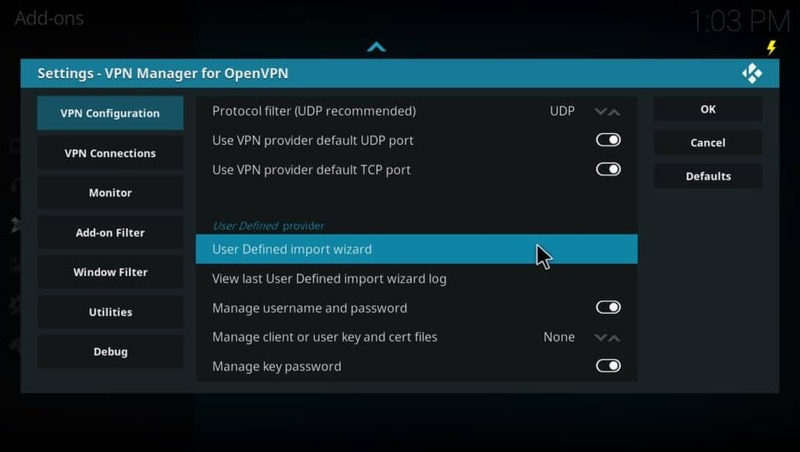 The VPN Manager for the OpenVPN addon still has to be configured, so go back to the Kodi home page, hover over the Add-ons tab and right-click the VPN Manager for OpenVPN addon. Click Settings and you’ll be able to select your VPN provider from a list. Next, enter your VPN login information. Select the VPN Connections tab and click the option to select your first preferred server. The VPN Manager will attempt to connect to your VPN provider using the credentials you entered, and if successful, will list all the available servers to choose from. These can be changed whenever you like, so don’t worry too much about choosing the right ones. Once this is done, all that remains is to test the connection to see if your VPN is working properly. While the most common VPN providers are already accounted for, the VPN Manager also allows you to manually set up a less popular one. First, you’ll need to find specific files that will allow you to connect to your VPN’s network. Usually, these files are mentioned in the Linux installation guides provided by your VPN service. We’ll need a .crt file, and one or more .ovpn files, which correspond to the servers you’d like to connect to. In the following example, we’ll be using IPVanish, but be sure to find the correct location for your own VPN provider. From the Kodi main menu, click the gear icon in the top-left. Next, select the File Manager option and click Add source. Type the location of your VPN’s configuration files into the box that appears and give the source a name. In our example, we’ve used the location of IPVanish’s files, but the location of this will vary by provider. On Kodi’s addons page, right click the VPN Manager for OpenVPN addon. Select the Settings option and choose the User Defined value under VPN Provider. Scroll down and click on the User Defined import wizard option. This is where we tell the VPN Manager where to find your provider’s files. They should have been downloaded to your Home folder, so navigate there and be sure to upload all of them. You’ll be asked if you want the VPN Manager to update the server files. This automatically fixes any broken link. Since manually editing them is complex, we recommend clicking the Yes button. After the wizard has finished, you can navigate back to the VPN Manager’s settings page and select your preferred VPN servers from the VPN Connections tab. Because OpenELEC systems don’t come with a web browser, we can’t rely on IP tracking sites to see if our VPN is working or not. However, there is another way that not only can confirm this, but provides a high-quality library of content too — the TUBITV addon. To make testing easier, make sure you have at least one American and one British VPN server in your connections list. 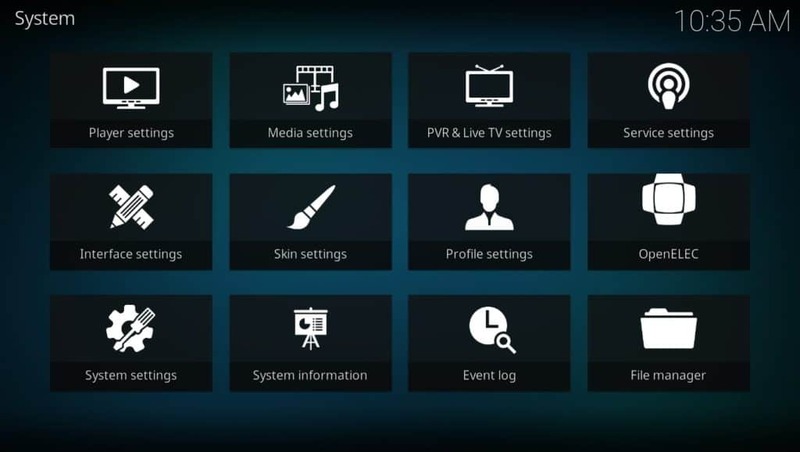 Select the American one, then navigate to the settings menu by clicking the gear icon on Kodi’s home screen. Click File Manager and at the bottom of the list, click Add source. Enter “http://toptutorialsrepo.co.uk/kodi/” without the quotation marks and give the source a name. Now, go back to the home screen and click the Add-ons tab, followed by Install from zip file. You’ll see a long list of files, so find the one named “repository.bg.plugins.zip”. Once this is installed, click Install from repository and find Bg Add-ons. Scroll down the list until you see TUBITV and click it to install. Because TUBITV has different media libraries for different parts of the world, certain titles will only show up if you have an IP address from the right location. For instance, Peep Show is only available in the US. Click the Search option at the top of the addon’s main menu and search for Peep Show. If it shows up, your US VPN server is working properly. Next, switch over to your British server and try again. If everything is working as expected, Peep Show should not appear in the list of results. OpenELEC may require some tweaks before it works as well as the traditional desktop versions of Kodi, but it isn’t as difficult to use as it appears. If you’re having difficulty, you might want to check out our guide to fixing common Kodi problems. OpenELEC not for you? We can also show you how to install a VPN on LibreELEC if you’d like. Either way, with your VPN properly installed, you can now watch content from all over the world safely and securely. ” error connecting to vpn , could not establish connection . Can you help me solve my problem please ? !